Backcountry huts are more basic than backpacker hostels. They don't have showers, hot water, cooking and eating utensils or bed linen, and you can't buy food or equipment. Bunks are often sleeping platforms that allow a width of 75 centimetres per person. Gas cookers and fuel are not generally provided. When using a fuel stove make sure that you open a window or door to allow dangerous carbon monoxide fumes to escape. Water is usually supplied from a rain water or stream filled tank. The water borne parasite Giardia may be present. Boil water for 3 minutes before use if you are unsure of the quality. An intentions (hut user) book is provided in huts. Always fill it in, as it may assist in search and rescue operations and also assists the Department to know how often a hut is used. Huts popular with hunters may have meat safes and/or dog kennels which are located away from the hut. Candle holders are provided at most huts where lighting is not provided. To help hut users keep huts clean and tidy, a broom, brush and pan are provided – please use them. Any cooking utensils, pots, pans or food. Showers or sheets or blankets. Take a sleeping bag. Rubbish collection, so always take all your rubbish with you. Toilet paper is generally not supplied, so take your own. Huts on Great Walks tracks often have wardens in the peak summer season. Wardens will check that visitors have the appropriate hut passes or tickets, provide information about track conditions, side trips and safety, supply weather forecasts (where they have a radio) and help ensure that huts stay clean and tidy. They may also provide interpretation of natural, cultural or historic values of places. Wardens also visit Serviced and Standard category huts on a regular basis. Huts may be actively managed for their historic values. This means the original fabric, design and character of the hut may not have changed much since it was built, and some standard services may be different. Interpretation about historic values may be provided. Keep huts clean and tidy. A broom, brush and pan are provided—please use them, and leave muddy boots outside. Conserve gas when using gas heaters and cookers. During cooking always open a window or door to allow dangerous carbon monoxide fumes to escape. Keep an eye on boiling water/food, and be sure to turn gas heaters off overnight and make sure it is properly off when you leave. Take care using wood burners, keep the fire contained and never leave it unattended. Only burn dead dry wood and be careful with hot ashes. Make sure the fire is extinguished before leaving. Use wood sparingly and replace any you use for the next visitors. Share huts with others by being considerate, make room for late comers and keep quiet if others are sleeping. Share boiled water with other trampers to help conserve gas. Carry it in, carry it out—recycle ALL your rubbish. Take two bags, one for recycling and the other for rubbish/food scraps to carry out with you and dispose of responsibly. Find out about Leave No Trace principles. No smoking in huts, take your cigarette butts out with the rest of your rubbish. Hunters must follow the Firearms and Safety Code. No dogs allowed inside huts. Before leaving, close doors and windows securely. 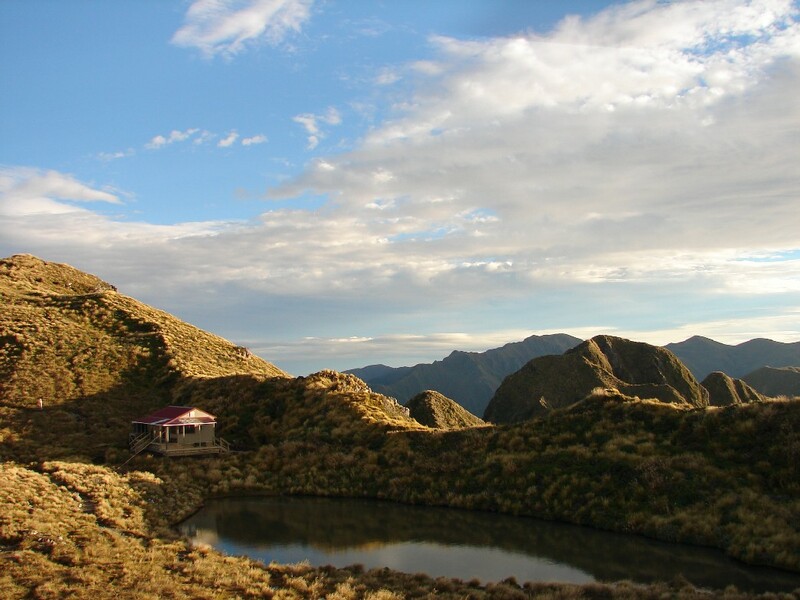 Backcountry huts factsheet (PDF, 160K). 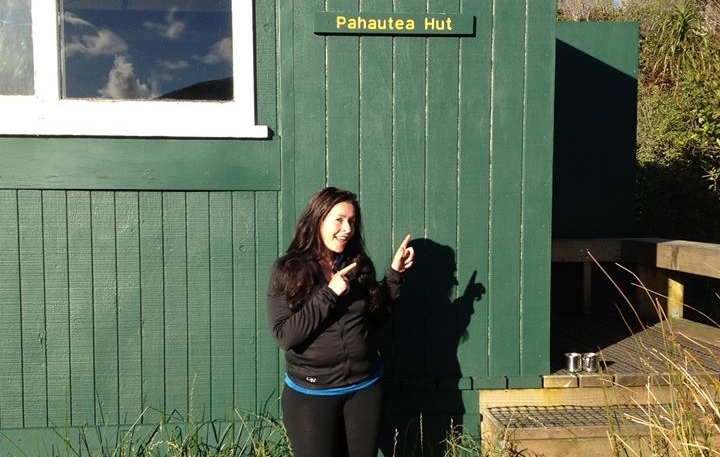 Blogger Sharlene Laskey tells us about her mission to visit all of New Zealand’s huts and shelters.